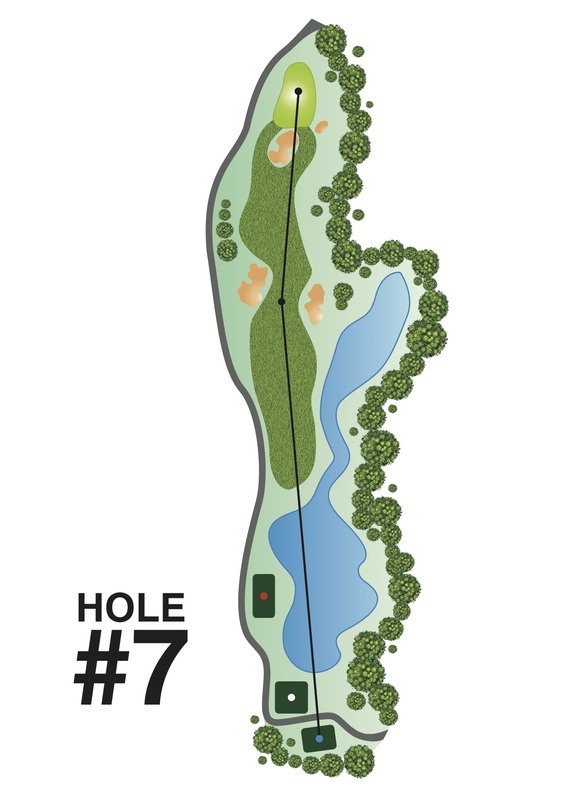 Tee shots are over a relatively short water carry to a wide fairway guarded by bunkers left and right. Only very severely pushed or sliced drives will find the connecting stream far to the right. The prime drive is either long and straight between the bunkers or short of the left hand bunker and left of centre of the fairway to enable a clear view of the green. Shots played from right of centre of the fairway will be blind with the right hand greenside bunker also obscured by the steep mound to the right of the fairway beyond the drive target area. The green is slightly angled and most conducive to a slightly faded approach.